Good things do happen to asylum seeking and refugee families and when they do it’s time to celebrate and give thanks. We recently saw off P and his family at the airport on their way to Canada. This is especially wonderful since P was in Bangkok’s Immigration Detention Center for two years. 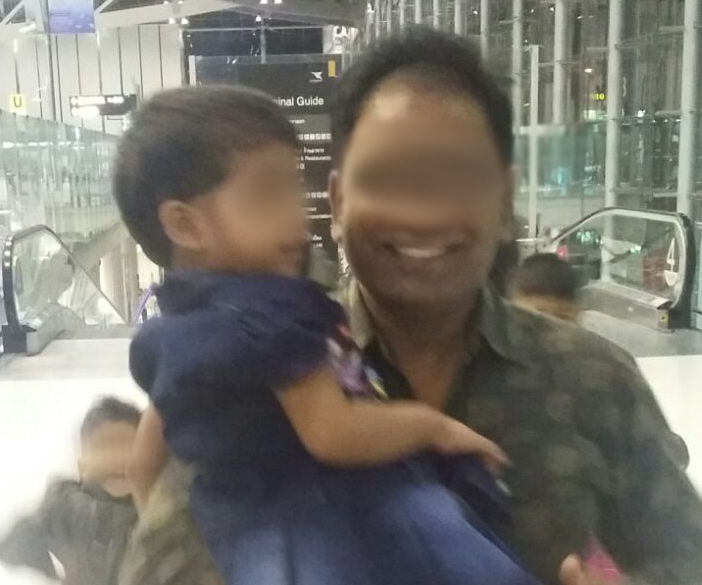 Regular readers know that asylum seekers in Thailand are subject to indefinite detention because of visa overstay, which is an almost universal condition owing to the almost insurmountable difficulties of maintaining a visa while one is seeking asylum. Two years in difficult conditions. Two years away from his family. Two years that are all part of the past now as the family savors its new life in free conditions. You can see it all in the smile on P’s face. Imagine you went through hell in your home country under persecution. You escape to another country where you and your family are hunted by local immigration authorities, while you await your fate at the hands of the UN, which ultimately refuses your case. After waiting two years, you are caught by immigration, and detained for two years, separated from your wife and children. You are in detention when you hear the horrible news that the UN is refusing your case and you are powerless to do anything about it and everything seems hopeless. But at the same time, a miracle happens. Your aunt in Canada has found a way to get you privately sponsored there. Just at the time the UN refuses your case, you learn that Canada has accepted your private sponsorship! Thank God for Canada! Though it takes some long months, nearly a year, the Canadian process goes smoothly and you count the moments when you can finally reunite with your family and be free! A new life awaits you and with each passing day it becomes more and more sure and the hell of immigration detention is fading and the lust for this new life grows until the day it finally becomes a reality! When the big day comes, the weight of the world is removed from your shoulders. The four years you spent in anguish and worry now seem worth it all. This is a happy ending for sure! But, it’s not the final end, which illustrates the wisdom of helping asylum seeking families. P and his family are now committed to helping others. They understand the needs of asylum seekers. They understand how to help. They are agents for solving the problem. The UN is currently reporting nearly 66 million displaced people worldwide today. These are unprecedented numbers, and the problem is not going away any time soon. It is eminently in our best interests to solve this problem, and the commitment of P and his family to help will not only help the families in need to become free, but in doing so they help us all solve a worldwide crisis. This is what the Love Movement is all about. Love can change things.